Mr. Media Interviews by Bob Andelman: 50 Darryl Lenox, comedian, "Blind Ambition"
50 Darryl Lenox, comedian, "Blind Ambition"
Mr. Media is recorded live before a studio audience of deaf, dumb and blind Canadian comedy fans who hear no punch lines, speak no punch lines and see no… wait a minute that doesn’t make any sense, does it?… in the NEW new media capital of the world… St. Petersburg, Florida! 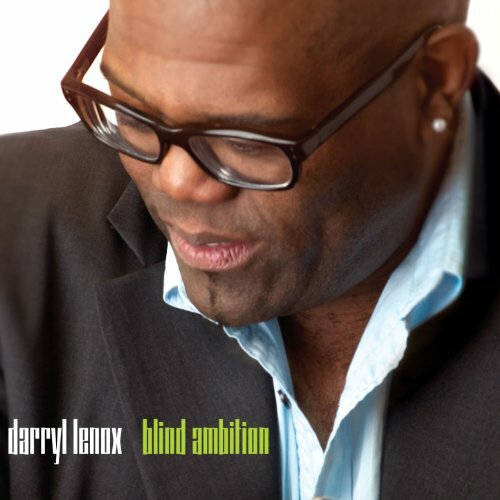 Comedian Darryl Lenox appears in the Starz special "Blind Ambition"; Order the CD from Amazon.com by clicking on the image above! Darryl Lenox jokes about himself throughout his new Starz comedy special, “Blind Ambition.” But it takes a while for it to sink in on the viewer that the title of the show really does refer to him. He is blind in his left eye and has a limited field of vision in the right. DARRYL LENOX audio excerpt: "Comedy Central didn't think I fit their demographic. And in Canada--where I lived for 12 years--a Canadian network said, 'We'd like you to do our version of 'Comedy Central Presents.' Then they realized I wasn't a Canadian citizen and they said, 'No thanks.' I had heard great stories of people producing themselves so I decided to try that for 'Blind Ambition.'"